Prime Minister of the former Yugoslav Republic of Macedonia (FYROM) Zoran Zaev addressed the European Parliament in Strasbourg on Thursday. 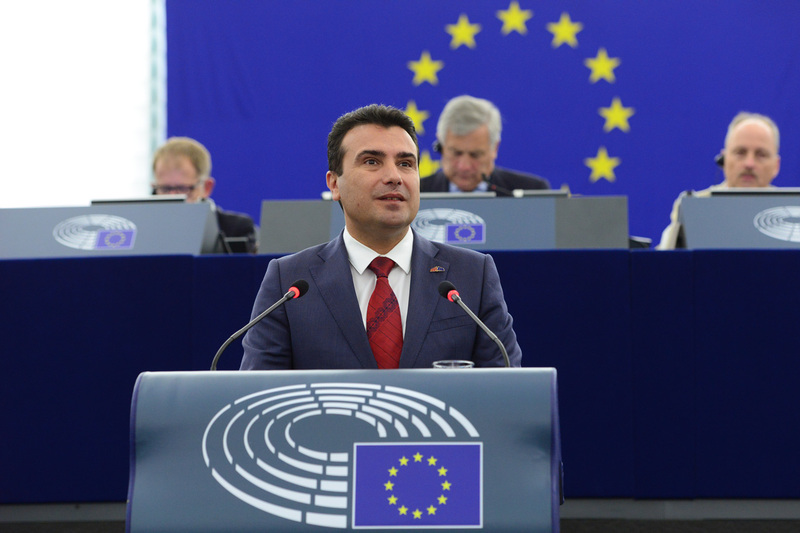 Securing public and opposition support for both the name change and for the next steps required for the republic’s possible accession to the EU and NATO took centre stage in Mr Zaev’s speech. “As Prime Minister, I promise that we are doing everything we can to reach the EU’s standards. We know the recommendations and they are our priorities. We also know that we still have a long way to go, but your warm welcome gives us strong motivation to continue our reform agenda”, he told MEPs. “Our fight for a European future was a key factor in the historic agreements with Greece and with Bulgaria. We are a European success-story - an authentic model for a functional multi-ethnic democracy. A sort of a small Europe - daily living the European motto “United in Diversity”, he added.